We often think of virtual reality as a method to teleport ourselves to worlds unlike the one we currently inhabit, but there are a lot of uses for the technology that can actually be used to simply change our field of view to something we can’t normally experience. We’ve seen this happen quite a few times now in the medical field, helping students to understand exactly what a surgeon is seeing when performing an operation, but what if we could extrapolate this viewpoint exchange to something much higher in altitude? 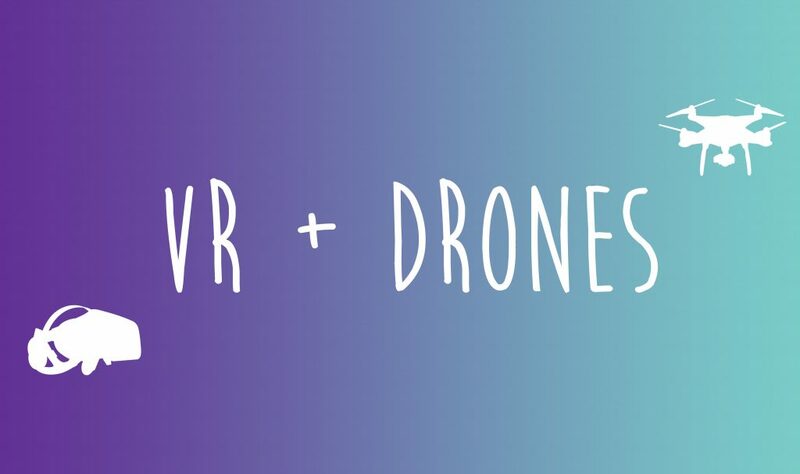 As it turns out, there are number of drones that can connect to special VR headsets to allow this, turning them into VR drones and we thought it would be exciting to detail them here. With that in mind, these are the best VR drones and accessories. What are racing drones you might ask? As it turns out, drone racing is a sport that is taking off quite rapidly around the world, and has even caught enough media attention to warrant dedicated TV shows. These VR drones are generally quite a bit smaller than the drones you’re going to use to get that high-quality aerial footage, but can also move quite a bit faster, and have more easily replaceable parts, since the likelihood of crashing is arguably much higher. For a full list, check out the post over at Charged.io, but here are some of the top options for your viewing pleasure. If you want something that works fantastically out of the box, the Walkera F210 3D is a great option. It has normal and night vision cameras, meaning you should be able to fly almost any time of the day. 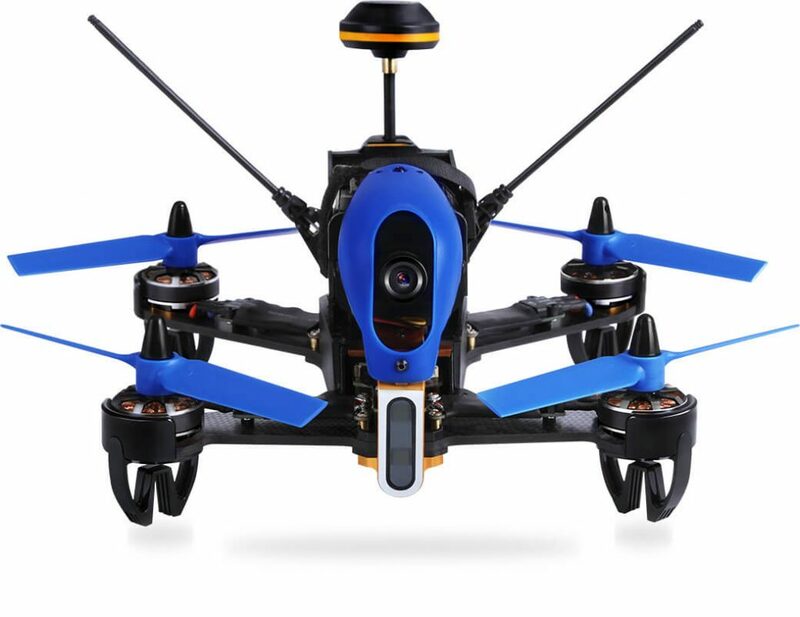 The frame and build of this drone are surprisingly sturdy, with carbon fiber components and other strong metal pieces. The controller for these VR drones allows for a number of extreme tweaks, meaning you can adjust the flight characteristics to a very tight level. Though the components are all very sturdy, the body is still quite light, meaning it should be quite portable for when you want to bring it around with you. This drone can feel more like a toy than a professional racing drone, but it offers a lot of the same features as many of the more advanced options. 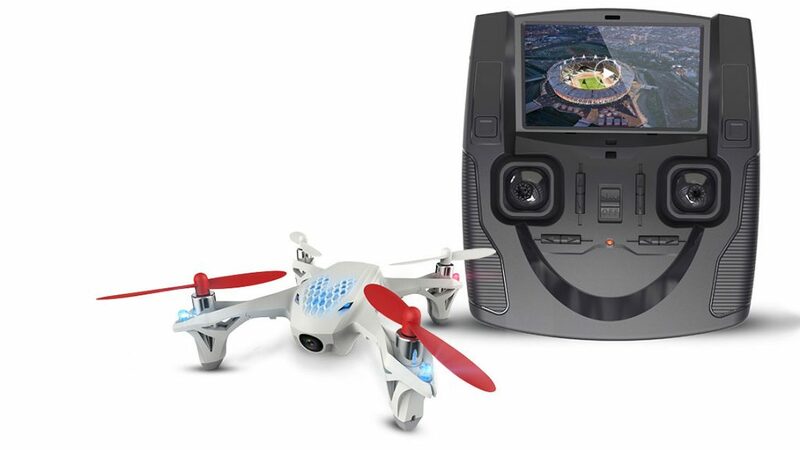 The drone is very fast and maneuverable, and the large screen included with the controller gives a great first person view. The drone can also be connected to a number of first person headsets to enhance the experience, but the relatively low quality of the camera leaves a lot to be desired. These VR drones are certainly for beginners, coming in at just $80 at Amazon, but it’s an exciting option for those new to the sport who want to get into it and want to be able to use a VR headset with their drone. While this drone may be marketed as a toy, it’s still the real deal. This drone is differently designed than many of the options you’re going to find on the market, with the motors being connected to one another, giving it a more traditional quad-copter vibe. At $500, you’re getting quite a lot in one package. The controller is about as robust as they come, and the drone even comes with its own set of FPV goggles. These VR drones use an HD CCD camera to transmit high quality imagery to the user, and should be a great option for those looking to get into the drone racing space as an amateur. These are the VR drones you’re going to see taking those beautiful overhead shots in high-end video, and will likely give you the best experience when wearing a compatible VR headset. There are a number of options available here, but they are going to cost quite a bit more due to the higher-end hardware since they are less likely to crash and more geared towards video. The Aibao AR drone is touted as being the first drone made to play games in augmented reality. The drone works with iOS devices, and can use a dedicated app to project images into the real world. You can use specialized VR headsets to play these games in a much more immersive manner, and can use the first person point of view in combination with augmented objects. These include things like flying through special checkpoints, collecting coins, or shooting down other virtual vehicles. While this drone isn’t going to get the highest quality video of all time, it still records very decent content at full HD resolution. While there isn’t a dedicated screen on the controller, you can use an iPhone or iPad as a screen, which gives the potential to have an absolutely huge view-port. Now this is one of the VR drones on our list built for that purpose. 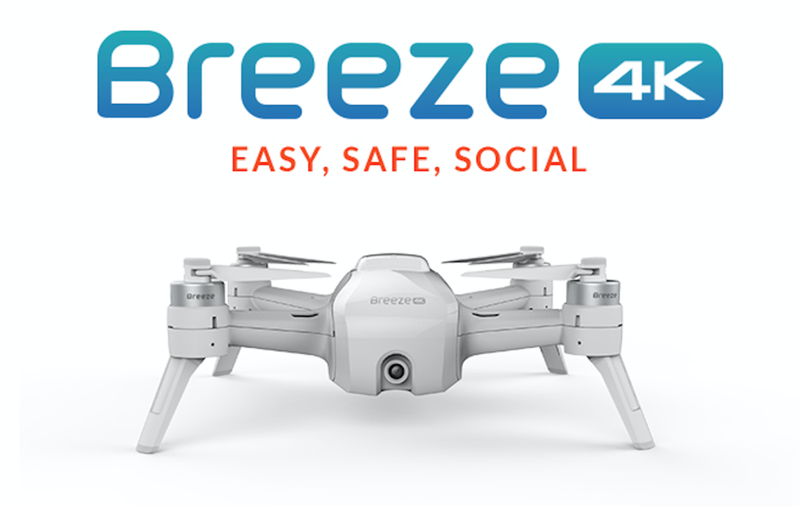 The Breeze 4K can record 4k video, and also is able to live stream 720p video directly to the headset you are using. Specifically, Yuneec recommends you use the FPV headset and Controller that you can buy separately to work with the Breeze 4K. 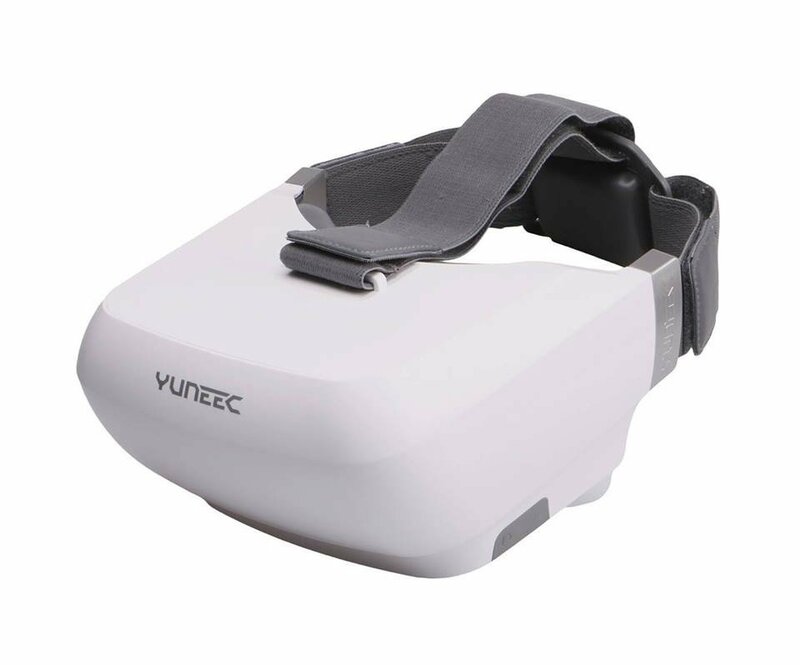 Yuneec’s suggested VR headset for this drone is very similar to a Google Cardboard or Daydream VR, allowing you to strap in a cell phone for a first person viewpoint, and includes a controller that looks a lot like a standard video game controller. This makes it quite easy to grab your drone, slip in your camera and go, and should be simple enough for most people to operate in a pinch. Though this is not going to come close to a dedicated headset and controller, it will get the job done for beginners, and should make the drone incredibly easy to operate. If you want to step up your game a bit more in the Yuneec brand space, you can go after the Typhoon H, which was made with VR drones in mind. 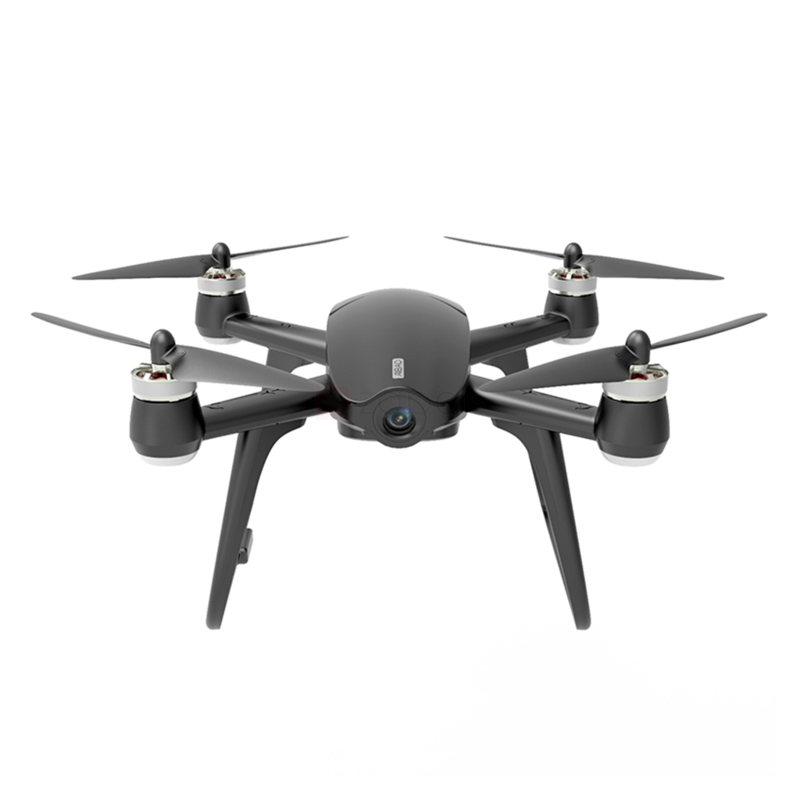 This drone has all of the features of a high-class consumer grade drone, including specialized maneuvers like following the user and moving in specific routes given to the drone. It can take up to 4k video while recording, and can display up to 720p footage on the display of the controller or inside the headset while you are flying it. With a 12MP camera for still shots and the 3-axis anti vibration gimbal keeping your footage stable, you should have no trouble at all getting the beautiful pans you are going for. 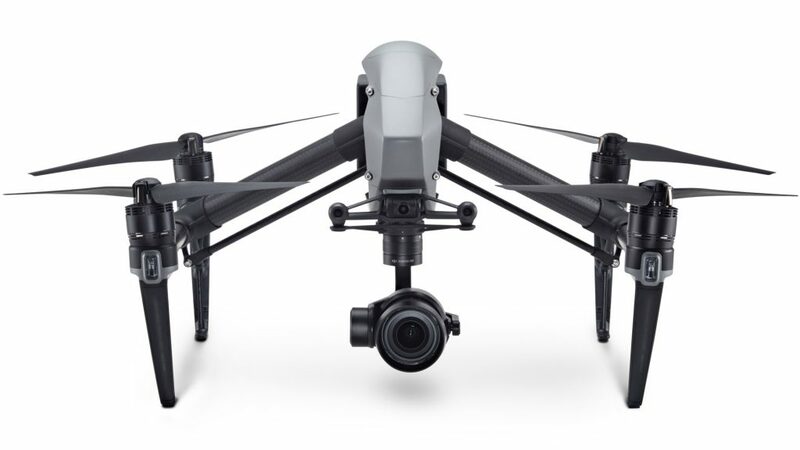 The Inspire 2 is one of DJI’s flagship drone systems, offering some incredible features such as 5k RAW video recording, hyper fast NVMe PCIe storage, a huge range of sensors, and more. There are almost too many features to list when it comes to this drone, which is probably why it will cost you a cool $3,000 to get your hands on one. There is a dedicated camera for the pilot separate from the camera you will be actually recording film to, so you can know where you’re going and know what you’re shooting on separate channels. 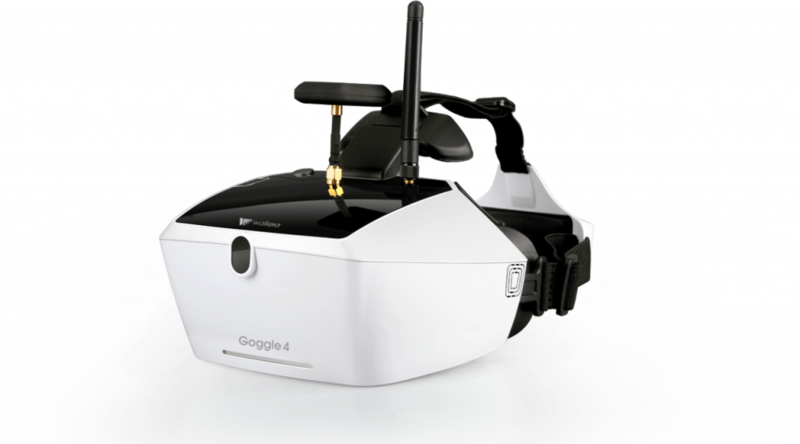 While this was not traditionally marketed as one of the VR drones available, the company has just added virtual reality support through Google Cardboard, meaning you should be able to experience one of the best drones in the industry on a virtual level. The Parrot Bebop FPV essentially the same as the regular Bebop 2, but comes with some special VR goggles that Parrot calls the Cockpitglasses. Parrot has been one of the leading drone manufacturers for quite a while now, and offers quite a lot in a tiny package with the Bebop 2. Weighing only 500g and touting 25 minutes of flight time, you should be able to take this drone almost anywhere with very little effort. 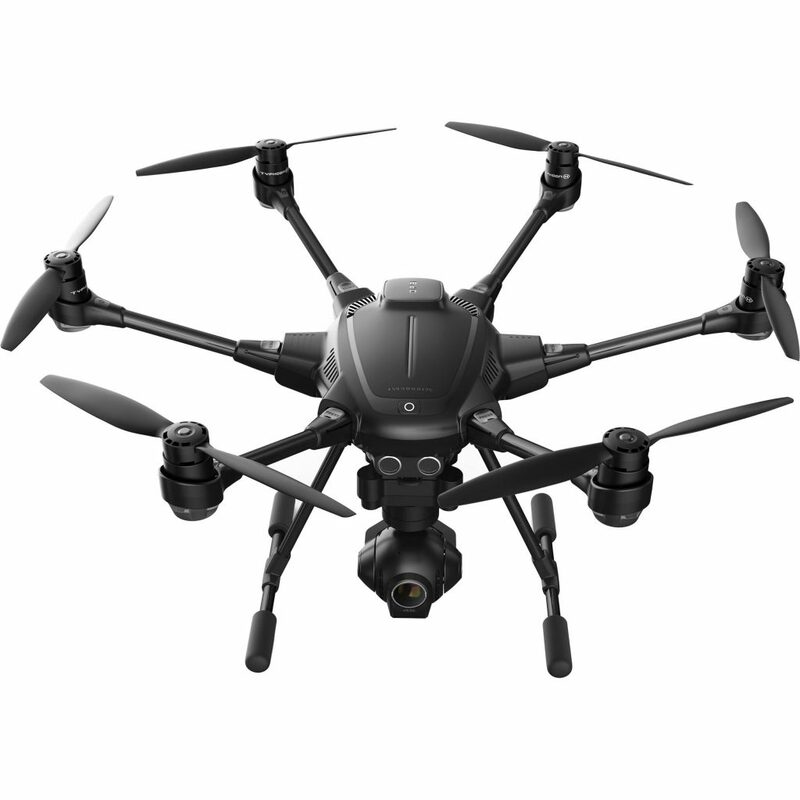 It has a full HD 1080p camera with many of the features of more expensive drones outside of its class, and uses a special app to use as a viewfinder and control the camera. 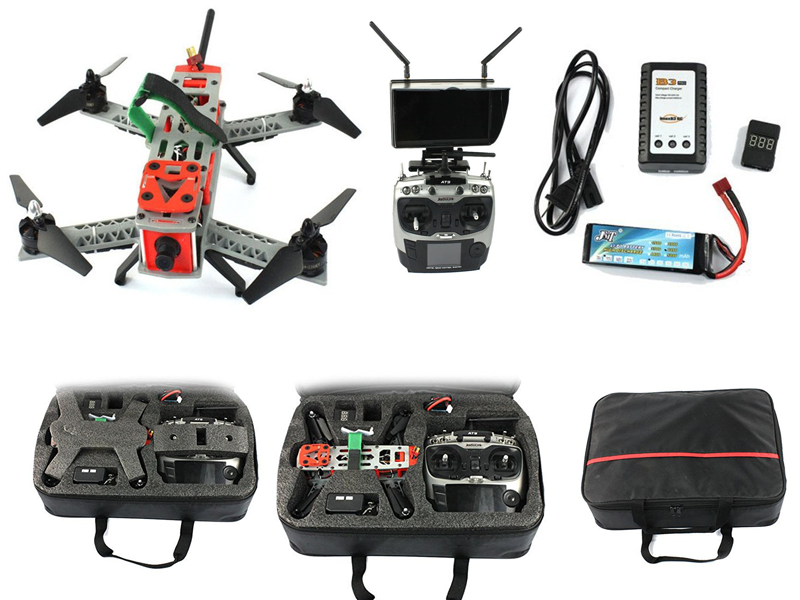 The FPV pack give you the specialized Cockpitglasses as well as a custom controller to fly with, so this is a great mid-ranged drone for those looking to get fantastic footage at a mid-ranged price. While a couple of these drones come with their own dedicated headsets, a number of them are merely compatible with some more generalized headsets on the market. One thing to note here however: using a virtual reality headset technically breaks the line of sight rule enforced by the FAA, so if you do go this route you’ll need to fly indoors or have a trained spotter with you. Since we didn’t list these headsets in the other categories, we thought it would be useful to compile a list of some of the top options separately, and here they are. This headset is made to work with a variety of different drones on the market, so you shouldn’t have too much trouble making sure it is compatible. This won’t come cheap, however. Coming in at $350 at many major retailers, you’ll have to be pretty serious about FPV if you want to pick up this headset. While the Yuneec Skyview was only developed with 2 specific drones in mind, it offers quite an immersive experience for what it is. Sporting a 5-inch screen that outputs live 720p video, the Skyview pads your face with a much larger field of view than many similar headsets. 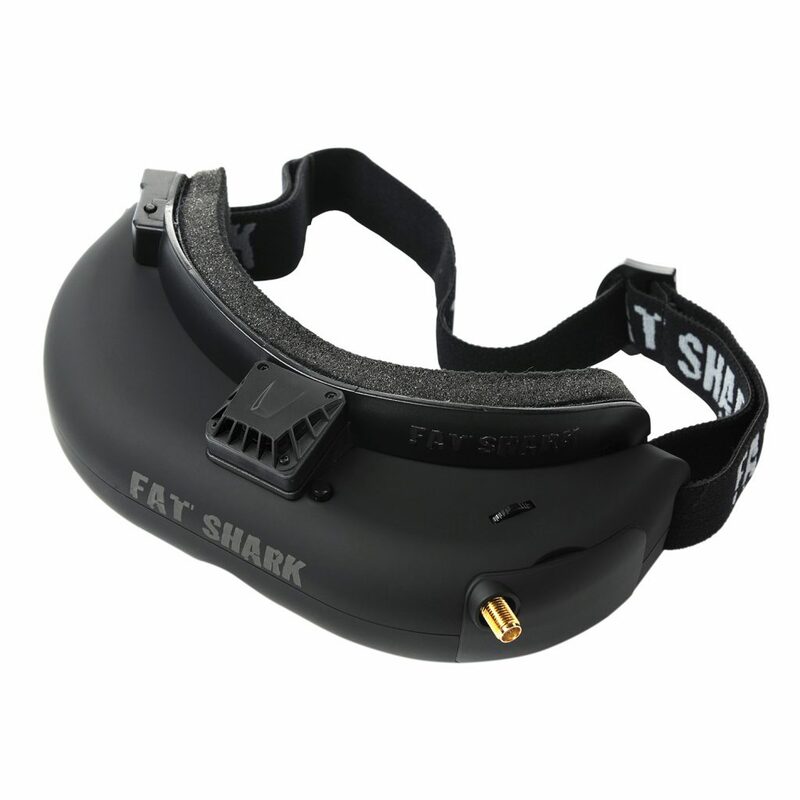 At 75.5°, you get more than twice the field of view available in something like the Fat Shark Attitude. The headset has an adjustable headband to accommodate to users who wear glasses, and has a 16:9 aspect ratio to emulate a traditional monitor. The goggles alone cost a cool $250, but should be worth it for those looking to get the premiere experience from their Typhoon H or Tornado H920 drone. The Goggle 4 is the most recent iteration of the Walkera Goggle line. Though it is quite a bit bulkier than many of the other headsets on the market, this headset provides a huge 5″ HD screen for users to get the best experience possible. It features a built in 5.8G band that can access up to 40 different channels, and is compatible with all standard NTSC and PAL video signals. The headset supports both AV input and output, and have the brightness controlled to attain maximum comfort depending on the wearer. With a 7.4V 1200mAh battery, the headset should be able to achieve over 120 minutes of working time, though you’re probably going to want to take breaks in between that time. You can pick up one of these headsets for only $179.99, which also makes it one of the more affordable headsets in this lineup. Though the Oculus Rift is officially a virtual reality headset and not something made for drones, there are some options like the Parrot Bebop 2 that can use the headset as a visor of their own. This generally requires special equipment such as the Parrot Sky Controller remote, which uses HDMI output to route video to an external headset. 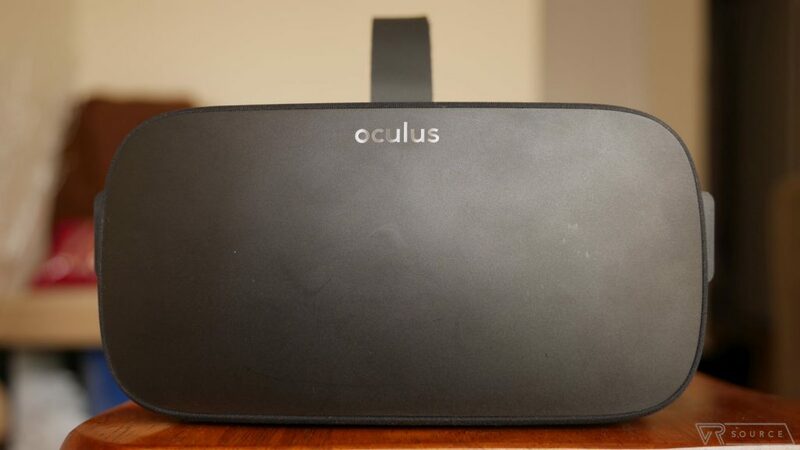 If you don’t already own an Oculus Rift, it may be a bit overkill to buy one strictly for FOV purposes. While the consumer model is going to cost you a hefty $600, you could likely pick up a used DK1 or DK2 for considerably less cash. 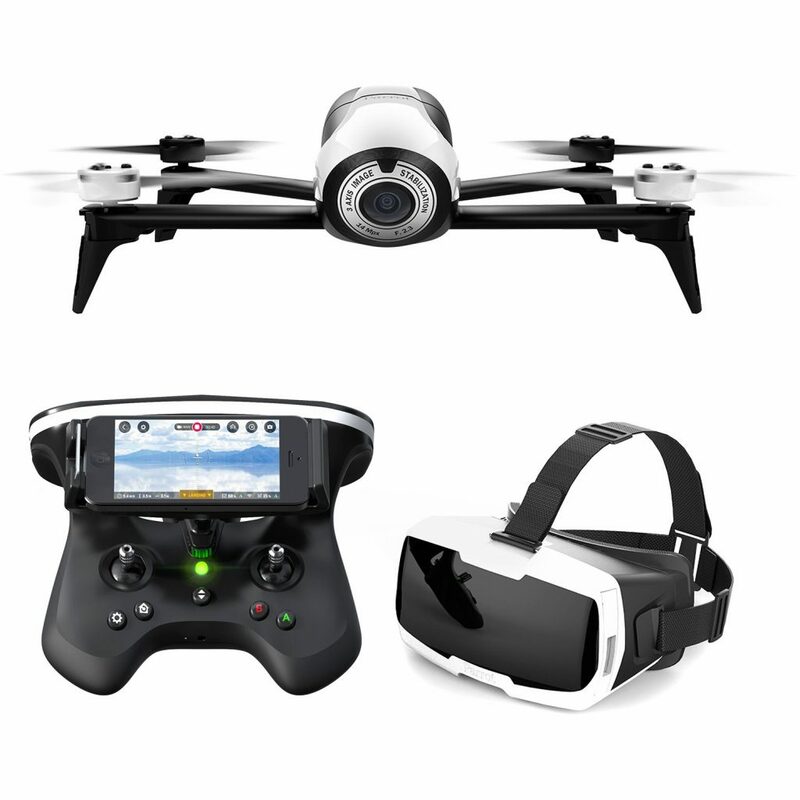 There are quite a variety of options available to consumers who are looking to purchase VR drones for FOV use. They range from entry level prices to exorbitantly expensive, so it’s likely that you’ll be able to find something to use regardless of your price range. Whether you are planning on racing one of these things or are just making a new hobby, you can find a drone that will fit your unique lifestyle.